Scores of empty bottles and cans, burnt-out tyres and even a dismembered caravan have been dumped at an Aberdeen beauty spot. The Grandholm Moss woodland area, just off Whitestripes Road in Bridge of Don, is a popular scenic space used by dog walkers and children to ride their bikes in. But dozens of bottles and cans have been left at the site along with tyres and furniture. 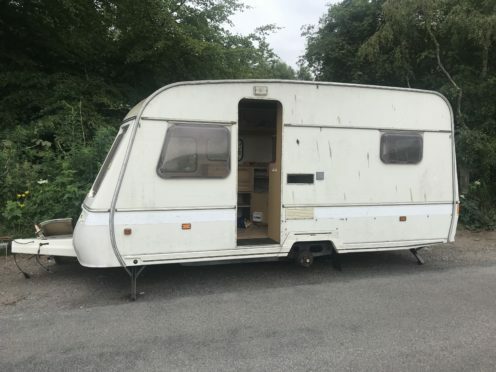 The most unusual item is a full sized caravan – which has reportedly been there for a fortnight. The vehicle has been taken apart with the wheels and door removed and is open and exposed to the public. Fly-tipping costs taxpayers money, with councils having to pick up the bill to remove the waste. Fly tipping with a caravan and other items on Whitestrypes Road, Aberdeen. In England last year local authorities were hit with a £1 billion bill. In Scotland, anyone who drops litter can be issued with an £80 fixed penalty notice with failure to pay resulting in possible prosecution and the risk of a fine of up to £2,500. A dog walker said yesterday that the caravan had been there for two weeks. She added: “We come here a lot with the dogs but there is always mess here. 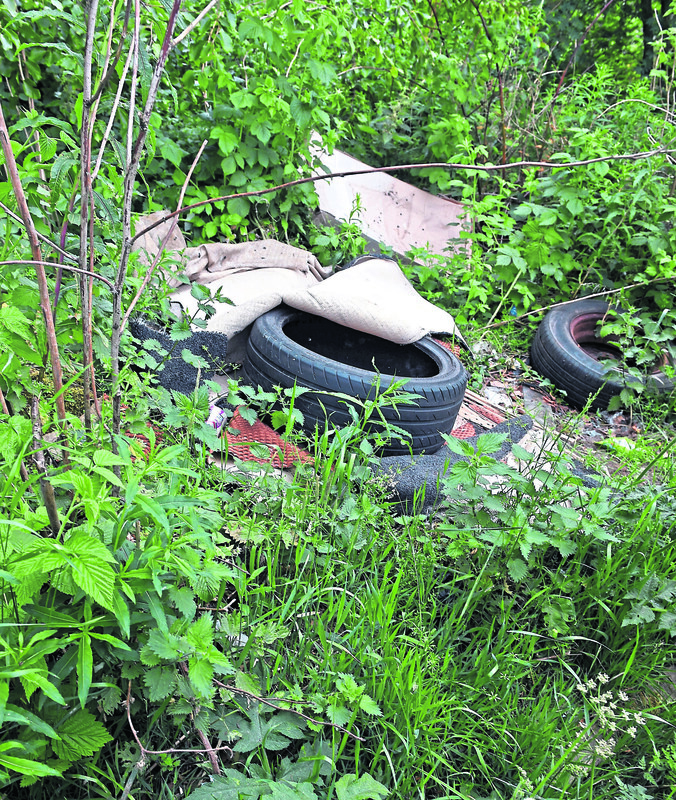 Independent Bridge of Don councillor John Reynolds said fly-tipping in the area was a “long running issue” and that he would look into setting up mobile cameras to deter the people dumping their waste. He said: “This has been going on for many years unfortunately, the kids have used that area as a place to congregate for the past 20 or 30 years so the beer cans and the like is a bit more understandable. “But for someone to dump a caravan there is just disgraceful. “Because it is a country road people think they can dump things and get away with it. “After 9pm or 10pm the road is really quiet and there is nobody about so, unfortunately, it is an almost perfect place for tipping. Anyone who sees fly-tipping taking place can call the Dumb Dumpers Stop Line on 0845 2 30 40 90 or visit www.dumbdumpers.org.